This entry was posted in Blog and tagged best, gear, kabam, kingdoms of middle earth, KoM, legendary, level, sets by beardmonkey. Bookmark the permalink. The best sets will not change from here on out. As mentioned above, the next level up of gear is better only if you don’t have the best 4th attribute on the previous set. 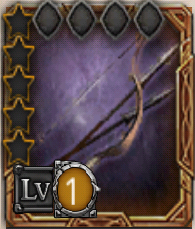 You will also want Bilbo for attack hero and Thorin for defense hero. Their gear is the best. We will see if Bard get’s any legendary gear, but it doesn’t look like it other than arrow. Np, I’ll ask my ally for other items. All Rank 2 legendary gear is out and in circulation. One thing that is becoming more important with the way the sets are being done is both the hero bonus (Thorin gets 36% for 3x pieces of his Leg2 gear, for example) and the fourth stat being perfect (e.g. a perfect leg1 is better than a bad leg2, but a bad leg2 is better than anything but a perfect leg1). That is to say, knowing how the fourth stat plays in as well as the legendary bonus is critical when choosing gear. If the pattern holds, by Rank 3, we’ll finally have an amulet that can challenge the replenishing amulet — but only if you get one with a perfect defense stat. With replenish not really available anymore, even now a Tooth 2 with a perfect defense stat is only 12.7 percent behind replenish — the value of the gap diminishes with every new gem — and is 2nd best — even better than Bard’s Amulet. Point being, with the base stats going up so much, it doesn’t take much of a fourth attribute to beat some of the older gear that still shows up on the spreadsheet. Same is true of Bilbo’s Cloak 1&2 with a perfect offensive fourth stat.